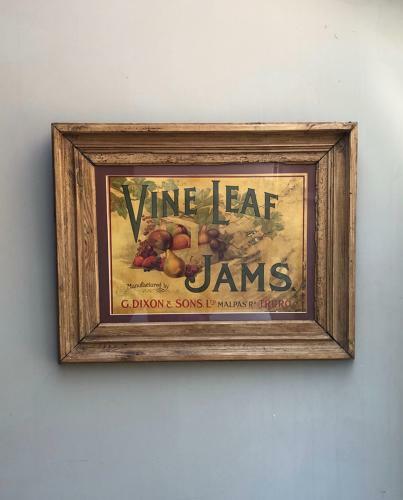 A lovely and large Edwardian Shops Advert for VINE LEAF JAMS. Framed in a stripped pine Victorian Pine. Collection or Courier UK (not Scotland) £45.